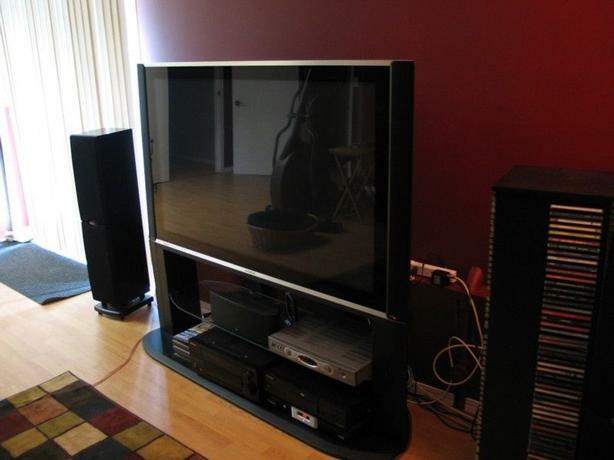 55" Hitachi flat screen plasma TV with base and remote. Works great. Very nice picture. 3 HDMI inputs. Includes remote and TV stand with adjustable glass shelf as seen in the photo. Nothing else in the photo is included - just the TV, the stand and remote.